I’ve always considered myself something of a lay historian. One of my two majors at university was history, I’ve always loved going to museums, and I’ve read several histories, including many on World War II, such as William L. Shirer’s opus The Rise and Fall of the Third Reich. I wasn’t that kid that got duped into buying Columbia House CD (or cassette, in my day) club memberships; nope, I got duped into buying a twenty-four volume encyclopedia of World War II when I was doing a paper route at the age of 14 or so (pretty certain my parents ended up having to pay for most of them, too!). 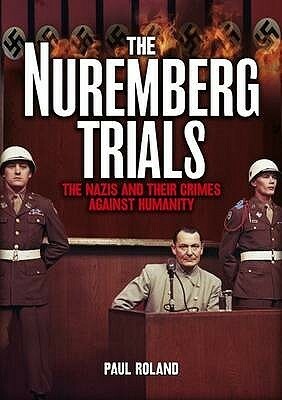 Being that this is an area that interests me, and that I haven’t read any books that are directly concerned with the Nazi war crimes trials at Nuremberg following World War II, I thought that Roland’s book might be worth a read, especially with its five dollar price tag. I found, however, the price to be a little steep at that.